GaugerGPS is a solution for "sensing-in-motion". A typical application is the monitoring of diesel tanks on vehicular tankers. In this application GaugerGPS transmits periodic reports including LEVEL and VOLUME (liters/Gallons), temperature, LOCATION, power supply status and cellular signal strength. 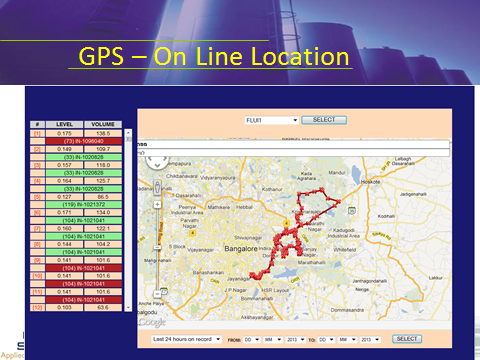 In addition, GaugerGPS transmits immediate reports for alerting events. Improve your productivity and lower your costs of fuel dispensing operations. Identify and prevent costly illegitimate activities. Visibility of your operations. Where are the tanker vehicles? When did they depart in the morning? Is a tanker at an authentic dispensing site? How much fuel is being dispensed? GAUGER MONITOR is a remote monitoring application for viewing data from fielded GaugerGSM sensors. The application provides for graphic and table views of data. WATER MONITORING are solutions for monitoring level in flowing rivers, irrigation channels, water reservoirs and water tanks. Applications span ranges as small as 40cm (1') and all the way up to 40m (130') typical for dam installations. The level sensors can be set to calculate open channel flow or report flooding / dryout conditions. 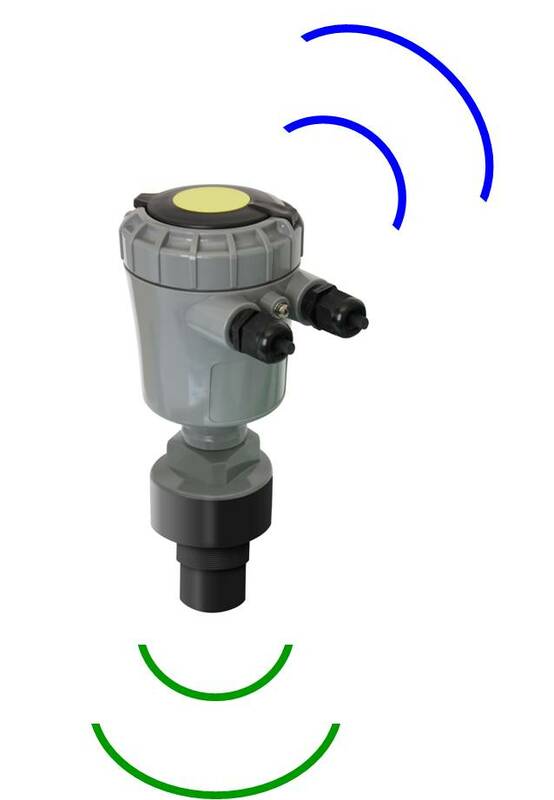 The sensors are non-contact and based on ultrasonic technology which is the technology of choice for water applications whether smooth surface or wavy and turbulent. SEWER LEVEL MONITORING The sewer level monitoring solution is based GaugerGSM level sensor and GaugerNET, a web-based monitoring application. The fielded component includes the sesnor, external battery pack and a programmable time switch. The complete set may be provided Intrinsic Safe (ATEX and IECEx). This solution is perfect for detecting overflow conditions, quantifying sewer flows, identifying long-term sewage trends and meeting regulatory requirements. 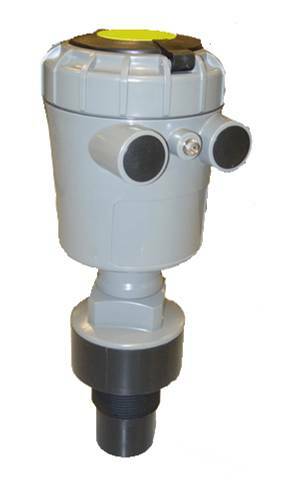 GAUGER PRODUCT LINE consists of state-of-the-art compact level sensors, rugged and fitting a wide range of applications. GaugerGSM stands out as a level sensor for remote monitoring applications featuring GSM (GPRS/SMS) cellular communications. Gauger420 is two-wire level sensor for industrial application with rapid process tracking rate, sealing rated IP68 and PVDF sensor for use with aggressive chemicals. Gauger420 supports 4-20mA and optional HART. Both Gauger models are available Intrinsic Safe ATEX / IECEx.